Netflix has revealed the trailer for its forthcoming basketball drama film High Flying Bird, directed by Academy Award winner Steven Soderbergh (Traffic, Ocean’s Eleven). High Flying Bird is the latest in a series of Soderbergh films to be shot entirely on an iPhone. It also features a script by Tarell Alvin McCraney, who won an Academy Award for writing Moonlight with Barry Jenkins. 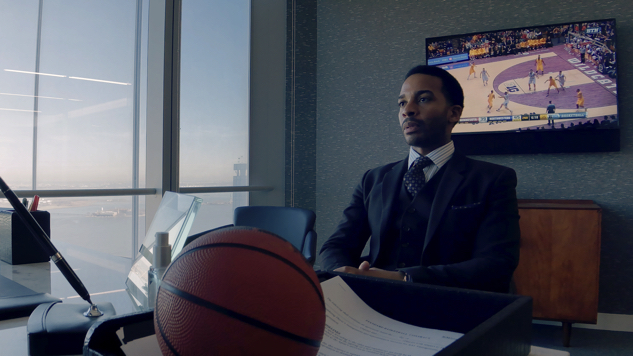 The film follows sports agent Ray Burke, played by another Moonlight alumnus, André Holland, as he attempts to motivate his players and outmaneuver the league during a pro basketball lockout. As the lockout continues and millions of dollars are lost, Ray uncovers more about the system behind the league and who really owns the game of basketball. 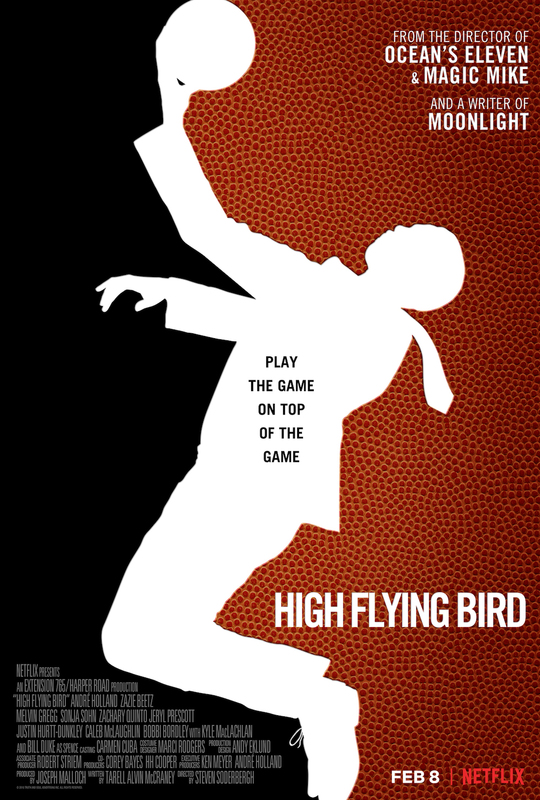 High Flying Bird boasts performances from Zazie Beetz, Melvin Gregg, Sonja Sohn, Zachary Quinto, Kyle MacLachlan and Bill Duke. It also features appearances by NBA players Reggie Jackson, Karl-Anthony Towns and Donovan Mitchell. Stranger Things’ Caleb McLaughlin makes a blink-and-you’ll-miss-it appearance in the trailer, as well. The film will receive a sneak preview at the Slamdance Film Festival in Los Angeles later this month, where Soderbergh will receive the festival’s 2019 Founder’s Award. High Flying Bird starts streaming on Netflix on Feb. 8. Check out the film’s trailer and key art below.